I sometimes joke that New Zealanders, and my fellow Pakeha New Zealanders in particular, believe that their nation is an island drifting in the Atlantic, between Western Europe and the United States. Certainly, many of us seem oblivious to events, even dramatic events, in the Pacific. 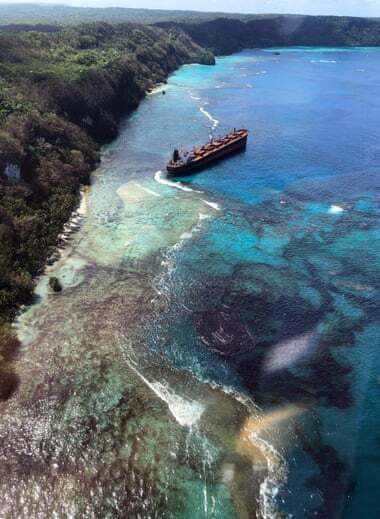 I've spent a bit of time lately recently to get journalists and MPs interested in the wreck of a mining ship off Rennell Island, and the subsequent oil spill. So far, though, Radio New Zealand, the indefatigable journo Michael Field and blogger Pete George are the only Kiwi sources to cover the disaster on Rennell in any detail. The Guardian may be headquartered in London, but it has shown more interest in Rennell than antipodean newspapers. Pete George's blog post incorporates some of my tweets about Rennell, and about the threat the island's eastern inhabitants have made in response to the wreck on their coast.